Last month, we highlighted some of the most impressive women’s motorcycle clubs in the United States and beyond. 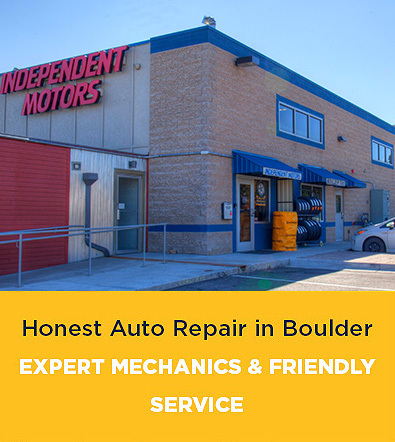 However, we received a lot of feedback here at the auto repair shop and quickly learned that original list of 30 organizations was just the tip of the iceberg. There are many more groups that deserve some spotlight for their charity, toughness, community and dedication to their rides. Here are 30 more women’s motorcycle clubs, from all around the world, that deserve praise. A nonprofit established in 2012, Chicks in the Wind was founded after several women riders in the Hudson area decided that they could get more done in their neighborhood if they banded together. “We ride to raise awareness for the women and children who live in the abuse and homeless shelters,” Chicks in the Wind President Terri Kirchner tells us. A variety of businesses have helped the Chicks host scavenger hunts, poker runs and other fundraisers. If you can’t necessarily join the Chicks (who have chapters in Hernando, Pinellas and Pasco), you can always buy a supporter patch and show your love that way. Sisters Eternal Women’s Motorcycle Club (WMC) is a neutrally chartered club with the American Motorcyclists Association and are recognized as professional, family-friendly, fair and legitimate by communities, participants and the motorcycling industry. Our Sisters come from all walks of life, and they navigate many different routes on their journey to the same destination: freedom on two wheels. Chicago’s own Furies MC are named after mythological creatures in Greek and Roman history: “These goddesses who made their home in the underworld would punish all crime, both personal and those made by society.” They further their objectives with meetings each month, where they outline their next riding plans while enjoying a laugh and a meal. The women participate in annual rides, including Ride to Work Day, International Female Ride Day and the Chicagoland Toys for Tots Motorcycle Parade. Having donated nearly $90,000 towards breast cancer treatment over the past 11 years, the Lost Girls MC are a mainstay in Visalia and always host their annual Lost Girls’ Breast Cancer Ride. Continue to support their valiant efforts by purchasing a patch on their website or by donating to the Girls. Want to join up with the ladies in Curve Unit? You just have to be there for the monthly Curve Unit Group Ride through the San Francisco Bay Area. You also need your own motorcycle, your own insurance and an active registration, but riders of any and all skill level are welcome. Named after the hardened Amazonian warriors, the Amazons WMC, Inc. members uphold six principles at all times, which the women also use as their code of conduct: commitment, loyalty, respect, truth, honor and love. The group has chapters across the US and Canada. If you want to join the club, you must follow some ground rules such as always using common sense, having an open mind and a positive attitude, understanding the road, and never drinking alcohol before a ride. There weren’t any women’s motorcycle clubs in India until 2011, when Urvashi Patole had the idea to create the Bikerni. Patole, along with Chithra Priya and Sheetal Bidaye, act as the core committee that sets up events and spreads awareness of the club. The group has grown in popularity so much that most cities in the country have a chapter, and new members are always welcome. Since the Bikerni was founded, other groups such as Lady Biker in Kolkata have come into existence to further spread riding culture in India. These women are, simply put, very devoted to riding their motorcycles. If you’re a fan of classic or even customized motorcycles, then you have kindred spirits in the Foxy Fuelers. These Australian motorcyclists were inspired by another Sydney group, the Sydney Café Racers, and now ride with them and other women. They learned by doing, and they want to encourage other women who are interested in riding to do the same. Since 2009, Ghetto Girlz MC has promoted a sense of family for women of all backgrounds. If you’re not in the Oakland area, you can always join the New Zealand, Ireland, UK, or Fort Wayne, Indiana branches. Make sure to check out the club’s website to see the women’s informative page on bike maintenance and safety. Devil Dolls MC was established on Valentine’s Day in 1999. Initially, the group only allowed members to join if they owned a Harley-Davidson. Today, the rules are more relaxed, with bikes made in the USA and Europe welcome. T-Rexxx is one of the founders and the president, while vice president Kupkake has been with the group since 2010. Sid Sinister is the club’s sergeant at arms. The VCMC has an easy philosophy: “More women on bikes & more women building.” The group is planning to announce their 2016 riding plans soon, so keep an eye out for that news if you are in the UK. In the meantime, feel free to support the club and look awesome at the same time by picking up a tank top, a t-shirt or a sticker with the VCMC logo on it. Sponsored by the Motorcycle Club for Women, the Women’s International Motorcycle Association was founded in 1958. The group hosts rallies and rides in Australia, Asia and the UK. If you happen to travel to meet up with the group, there’s always members around to get you acclimated. Members receive stickers, pins and badges, discounts on the online shop, up to 11 newsletters, and access to every ride or any other event the group is taking part in. Lisa Thuning established the Celtic Sisters WMC in 2014 and serves as its president. She works alongside vice president Criket Jones and public relations professional Sallie Todd. The group is dedicated to helping children with cancer. If you want to tag along, you can apply to join right on the Celtic Sisters’ website. The women participate in various Ohio events throughout any given year. The Asphalt Angels MC always ride safely, insisting that you “never ride faster than your angels can fly.” This group, founded in 2013, supports organizations and charities in the St. George area, often volunteering and riding in fundraisers and other events. Since 2006, the women in the GLOW Motorcycle Club (which is short for Gorgeous Ladies on Wheels), have made Houston a lot pinker, as that’s the group’s signature hue. The club only opens availability for new members on a limited basis, so make sure to jump in when you can. The women support local businesses and post flyers on their website to promote small companies. Chrome Angelz RC started in 2012 with one chapter in New Jersey and actively recruited in 2014 to grow to over 65 chapters across the US, Canada, South Africa and Europe. They support women motorcycle riders, promote safety and encourage chapters to help their local communities. Emerson and Hoops, two friends and riders, co-founded the Femme Fatales WMC in 2011. 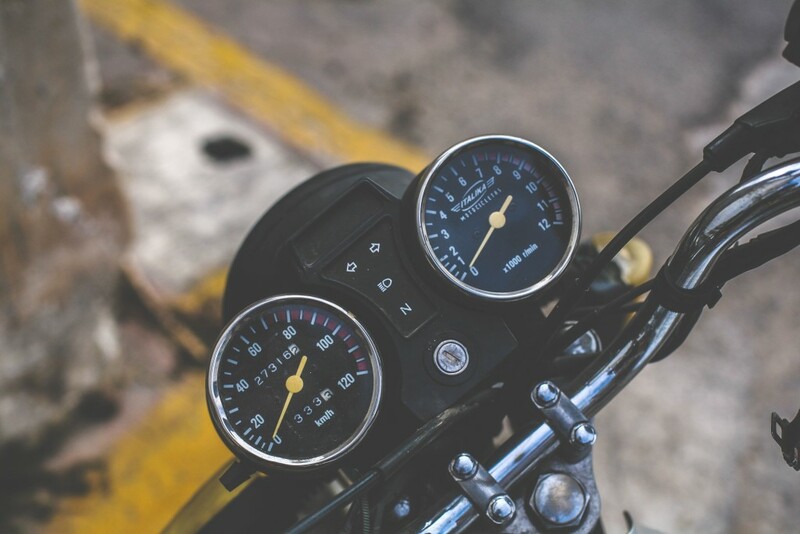 They recognized that there was a lack of women’s motorcycle clubs in Ohio, so they decided to give women riders in the state a chance to gather together. Of course, they do more than just ride. Members also support nonprofit groups like Susan G. Komen 3-Day, Bright Pink, the National Cervical Cancer Coalition and the Heather J. Kwiate Foundation. Although Las Vegas is known for its crazy entertainment, the city didn’t have any sanctioned motorcycle groups with just women riders until Nina came along in 2006 and created the Xtreme Vixens MC. The club became such a beloved institution that it in 2008 it created a California chapter. While the group once only allowed for sports bikes, as of 2012, any and all motorcycles are welcome. They keep their description brief, but Las Marias MC is in the middle of producing a short film called On the Road to Sisterhood. There’s a slew of patches you can buy in support of the group, and make sure to check out their catchy riding playlist. As long as you’re a woman with a motorcycle, the Iron Sirens WC wouldn’t mind if you joined them for a ride. No parts of Canada are off-limits — you’ll find chapters in Addington County, Alberta, Rose City, Port Dover, Halton Hills, Muskoka, Wasaga Beach and more. The club often participates in open events where anyone can ride. There are also member-only activities planned for every month in 2016, some of them rides and some of them social gatherings. Boasting more than 70 members as of this writing, the Free Spirit Chapter has been a Michigan mainstay since 1995. Washtenaw, Wayne, Livingston, Macomb and Oakland County women riders all gather for monthly meetings and regular rides. The club will participate in an event in Warren in February, the 9th Annual Bowling for Camp Quality, so be sure to check it out. The GRIPsters, or Girls Riding Independently Proud, are spread out between Oregon and Washington. They’re open to any woman motorcyclist joining as long as you can attend the Portland meetings, which occur monthly on Thursday nights at the Bradford’s Sports Lounge. The Steel Cowgirls, also known as the Motorcycle Women of Tennessee, are based in Nashville, but the group has been known to venture far out for certain riding events. When you join, you get official access to the group’s locked Facebook page so you can keep abreast of club news and upcoming events. Nonprofit Diva Angels, Inc. has both local chapters and a national chapter. You can find branches near you in Tampa Bay, Pasco and more. You can either join by sending mail to the group or save time by applying online. The women request that you show up to one of their chapter meetings before applying, though, so you can get a feel for how you’ll fit in. Inspired by another Virginia motorcycle club called Bloc Burnaz MC, Smokin Curvz MC was founded in 2010. The women are dedicated to making Fredericksburg a better place through charitable acts. “We believe actions speak louder than words, and are ready to prove that we can ride with the big boys, cook the meals, take care of the kids, uplift our community and still look fabulous!” the group pledges. Whether you call Australia, Canada or the US home, with more than 45 chapters there’s undoubtedly a Chrome Divas branch near you. Founded in 2002, the group began in Tallahassee, Florida, before growing bigger and bigger into the powerhouse that it is today. Feel free to add to the club’s numbers, but be prepared to abide by the rules, which insist that you’re respectful of other members. The Chrome Divas Midwest Winter Retreat is coming up in February, so don’t miss that. Why is MO WOW such a huge hit in its home state? Women of all skill levels and ages are encouraged to participate, which has led to the development of chapters throughout Missouri, including Ladies of the Roubidoux, Golden Valley Girls, Lady Road Runners, Lady Cruisers of the Ozarks, the Heartland Chapter and the Show-Me Riders. The group is currently filling its 2016 calendar and is welcomes new members. Sometimes, a little competition is a good thing, as in the case of Caramel Curves, a New Orleans group created by a woman known only as Caramel (check out the piece Vice did on her recently). Caramel started the club to go toe-to-toe with the male riders in the city, and the group’s popularity grew quickly. That changed after Hurricane Katrina, when many group members left the state for good, but Caramel Curves has since regrouped and encouraged many others to join.